The Aria model offers a truly executive living experience in Spring Creek Nevada. Everything from the beautiful exterior details, to the free-flowing floor plan, makes this model the perfect place to call home. 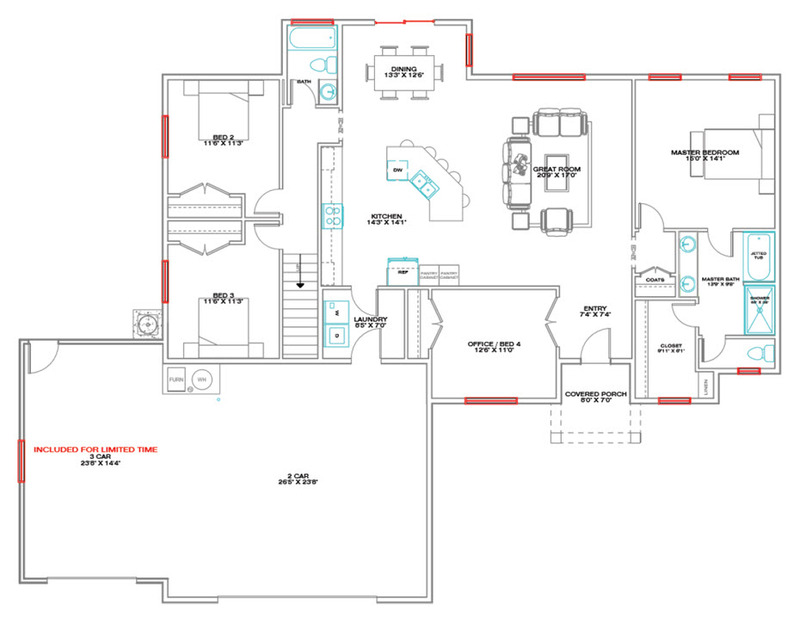 The split floor plan has four bedrooms, two baths, a sitting room, and basement option. Everything about this home is sheer elegance. Entertain family and friends in the large open kitchen and great room, or unwind from a busy day in the spaciously designed master suite. Need more space? Check out the Signature, Premier, and Executive options. Or view more Homes for Sale – Spring Creek, NV.